There is a myth that personal injury is a thing of the past. That is most definitely not the case. As long as there is movement of man and machinery there will be accidents. People who have suffered through the negligence of others are entitled to be compensated. The only measure of compensation is money. Because of unconscionable scams by a number of individuals the practice of settling these claims has moved from the Courts to the Personal Injuries Assessment Board. 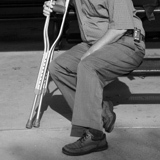 Where people are injured, or entitled to make a claim and are entitled to be compensated, they should make that claim. There should be no fear in doing this. It is a constitutional entitlement and there is no stigma attached to it. Assessment of the facts, apportionment of the blame and measurement of the compensation are skills that we have acquired over time. We work with the Personal Injury Assessment Board. Our own assessment will tell us whether their award is correct or not and if not we have the experience to know if the decision should be appealed. Where this is appropriate and subject to the client’s instruction we pursue this course in the interests of justice and fairness. Our experience extends to every forum, to every corner and to every jurisdiction in this country, which we have built up over a long period of time.